Summary: Team Avatar faces its first mission as a unit in three years when Prince Wu goes missing. I am so glad they are putting a pause on the Wu storyline for a while. Man is it boring. Bolin is really shaping up to be an extremely powerful bender. Wow that restaurant scene was cringey. I will say one thing: the Sozin comparisons with Kuvira are strong in this one. At very least, there's now a strong reason for Toph to get involved in what's happening (though I guess this scratches the theories about Kuvira going after RC for their spirit vines, unless Toph kicks her out). Also, Makorrasami hug was nice~ The restaurant was definitely the equivalent of meeting high school friends after years apart, though. That went actiony a lot faster than expected. Now take care of Dark Korra next episode. Still loving Varrick. Way to go Tony Stark on those mechs. This duality in me, ice and fire within. This has been the best episode in the Book! Excellent to be honest. Wu is stll somewhat annoying, but I really like the fact that he sees others in a pretty humane way. But wow, I wasn't expecting ethnic cleansing on Korra. Kuvira is certainly falling on real life fascists like Hitler. I don't want to imagine what kind of inhumane things they are doing to those people. Also, I do wonder if Toph will face them, now that they are invading the swamp. Will the waterbenders intervene? But four babies playing a game can make a playworld which licks your real world hollow... I'm on Aslan's side even if there isn't any Aslan to lead it. I'm going to live as like a Narnian as I can even if there isn't any Narnia. 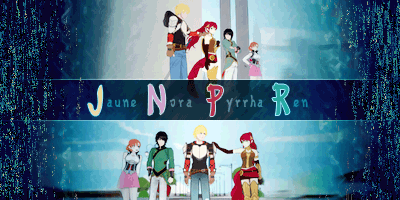 Great episode. Didn't expect Kuvira to go all Nazi. But why does she want Prince Wu? He's powerless. And do you think Korrasami would happen with the blush? If she gets Prince Wu, then Republic City loses its only means of rallying the Earth Kingdom. These guys might have thought this up on their own. This is closest thing I'm leaning on. Since if she wanted to do a Romanov situation, it'd be easier to just set up an assassin and frame another faction like Varrick was doing in Book 2. Another reason might go back to pride/false legitimacy. In Japan, the Shogunate took over complete control while keeping the emperor around but isolated since there was a lot of reverence towards him/currency in maintaining a false legitimacy (plus, the whole propaganda technique of "the emperor is descended from Amaterasu and thus earthly matters are below him so us, his lowly servants handle it instead"). With Kuvira, I can't see her using him as a puppet like that but I can see her wanting to have him "bow down" to her like everyone else, since killing him makes him a martyr. Having him bow down to her is a symbolic and political gesture that not only further quashes further support for the monarchy but gives her further legitimacy. I don't think they thought of it on their own though given how organized the kidnapping was and how they're wearing army uniforms. If it were a group of independent Kuvira supporters I could see it more easily but since they were military, it probably IS some part of Kuvira's grand scheme. Best Ep so far. 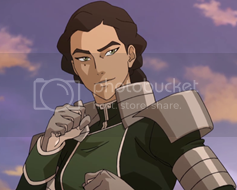 So... Kuvira wants to die as she invades the home of the GOAt earthbender who invented metalbending, while she wears it. So toph will meet Kuvira then.....Interesting. I hope that means Bolin gets to as well and maybe gets a bit trained by her, she's his hero that'd be the best greatest single thing to happen ever! Such a great episode, its a shame that even when Varrick and Bolin tell the others about the weapon that they won't be accurate about the power of the weapon. I did like that they were a little frosty towards each other somewhat, but I;m glad they were very apologetic about themselves. I had originally thought that kidnapping Wu would be a diversion to securing more spirit vines but I guess I was wrong. The Bolin and Varrick B plot was excellent and the two continue to have amazing dynamics with each other. I didn't expect there to be an ethnic cleansing component to what Kuvira was doing to the Earth Kingdom. It does go against what she purported to say when she was laying the groundwork for her subjects to achieve her own greatness and places the emphasis on her desire for purity. Truly I think that makes her almost just as bad as the Queen she replaced who, if she had Kuvira's forces might have done similar acts towards benders of other elements. Interesting point. Long Feng did mention the citizens do see the King as a god of sorts. Although anything we can think about right now is highly especulative. I think she it's very likely she wanted to blame a third party, or simply kill him as a sign of the end of royalty. Considering she's been doing ethnic cleansing (which I'm still wrapping my head around how that was greenlit), I wouldn't be surprise she intended to publicly execute him. Also, is it me or when the guy Korra captured said, "All hail the great uniter", it gave a Captain America vibe? ("Hail Hydra"). He only needed a cyanide pill. And with all the Nazi parallels I think it was intentional. I wonder if Prince Wu's kidnap was her crews idea or herself? If Kuvira beats toph i'll be pissed. Possibly. I could see her wanting to do to him what she did with Su and the twins: basically make a spectacle and an example so others know to back off. And tbf, that worked for her in Zaofu. Most of the populace bowed down despite being obviously afraid because she made clear that anyone who didn't would be declared a traitor and treated the same as Su. With Wu, it'd be even bigger since he IS royalty/a symbol of the past. To Kuvira, the neatest way of handling Wu would be to "convince" him to abdicate the throne. No mess, no legal ramifications, and no international community still kicking up a fuss about her in charge when the monarchy is still around. We've seen her go to the "neat" approach first on a consistent basis, she just brings about a big stick and a shot gun while she does it. IF Wu undergoes enough character development he is about to say no/stand against her, that might be enough to make her threaten the defcon one option in regards to him since obviously, death is another way of handling the monarchy problem. - Bolin lavabending OP pls nerf. - Technology is advancing way faster than I thought. In the 3 years Korra has been gone, the streets have gone from cobble to full asphalt, with modern lane and crosswalk markings and highway overpasses. The cars also seem a decade more advanced. The train station was really sophisticated, and reminded me of every movie set around WWII that has a train station. In Book One, Republic City felt like it was in the 1920's, and in 3 years, now feels like the thirties or forties, strengthening that Hitler parallel. Oh my god, so much shipping in this episode! The not!Zutara couple was especially cute . Best episode of the whole season. It was a fantastic episode, there was a nice amount of action, the jokes were funny and on point, the interaction with Korra, Asami and Mako with Wu was great and the episode moved well. The ending was interesting with Kuvira harvesting the spirit tree. I wonder if Toph will come and try to stop them from destroying the tree? Also I am surprised that Kuvira is keeping people that aren't earth benders in prison... I thought they said that Kuvira was good but just wants to reunite the nation, making her keep people that aren't earth benders in prison is terrible, they are making my fav character pretty unlikeable . HAIL KUVIRA! THE GREAT UNITER! I loved this episode. Loved it. I thought the dialogue had a lot of character in it between these three this time. And all shippers are going to go bonkers over this episode. Also, I knew Wu'd try wooing Korra, and her responses were flawless. Especially that hand in the face at the end. Bolin and Varrick have an awesome dynamic. I laughed so loud when Varrick's first step while carrying Bolin got them caught in a trap. Didn't anticipate the Avatar-world's version of ethnic cleansing! Oh, and a nice way to bring back Mako's family. Grandma yin will love having royalty around, considering how she grew up loyal to the royal cult of personality. Shout-out: Korra's fighting has bettered since the previous episode, but she still got knocked down by an earthbender move at the start: I can see incremental steps of improvement. Hey Korra BLUSHED when Asami complemented her/when she complemented Asami in return.